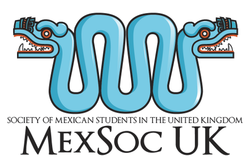 MexSoc UK (the Society of Mexican Students in the UK) is holding its first party as a pre-posada for Societies in the South of England at Mestizo Restaurant & Bar. The reason of the party is to unify while getting to know the student body in the UK. MexSoc UK hopes to give support and build bonds between students nationally and to form friendships. The event will take place after a meeting of the MexSoc UK Consultative Council, which is integrated by all the Presidents of the Mexican Societies around the UK. This meeting will be held at the Mexican Embassy.